Watch the Today show. Watch Dr. Phil. Read the Chicago Tribune. Go on YouTube. You’ll see a new word that’s causing a mild uproar. It’s “interabled,” a shorthand description of a relationship between a person with a disability and a person without one. I fear I’m at least partly responsible. It was mid-2015 when I originally used the expression. I was pitching my second book, In Sickness And In Health. I’m a lifelong wheelchair user, born with the neuromuscular condition called spinal muscular atrophy. My wife of nearly 30 years has no physical disability. The book wasn’t only about my marriage. I sought out—and easily found—other couples like us. I honestly don’t recall how I came up with the word. Maybe I’d read or heard it somewhere (it’s not in the Oxford English Dictionary… yet). It just sprang naturally from “interfaith” and “interracial,” with a hint of “ableism” thrown in. As soon as I said it to myself, it seemed to fit. As a defense mechanism, I hyphenated it at first (inter-abled), put it in quotation marks, and added “for lack of a better term.” I knew it was new, and kind of awkward. I knew it might offend. Nonetheless, it was instantly understood. I’d inadvertently hit upon something that resonated with a lot of people. I’ll admit, I struggled with contradictory impulses about using it to describe our marriage: There is nothing special about us; we are just an ordinary couple. For years, I insisted that no one should make a fuss about my wife and me. Ours was just a marriage like any other. We worked out our differences in our own private ways, just like anyone else. But I also came to see that we in the interabled club do have extraordinary stories to tell, stories that enlighten everyone who wants to read them. We were worth identifying as a particular phenomenon, a specific facet of our society. When you say “interabled,” people know what you mean. Some have suggested alternatives, such as “crip curious” or “crip mates,” though these are less understandable by the general public and only describe half of the equation. What prompted me to make “interabled romance” part of the title of my book were articles about Michael J. Fox and Tracy Pollan or ex-congresswoman Gabrielle Giffords and her husband, Mark Kelly, which dubbed these couples “amazing” and “remarkable,” with “a special kind of love.” The assumptions of other-ness were plainly out there, if a bit saccharine. Honestly, though, I didn’t need to see People magazine to realize that people think relationships like ours are somehow different. I can tell by the way strangers stare at us. By the stupid comments and inappropriate questions. My wife and I are frequently assaulted with praise from strangers—”you two are so inspirational!” Or they assume we’re siblings or even mother and son! Such experiences, I soon learned, are not unique to us. I heard similar stories from every couple I interviewed. I came to see that many of us do have a shared perspective. We do face prejudices and laughs that other couples don’t. So why not find a handy term for it? The need to zero-in on this often misunderstood issue became painfully clear in a recent episode of Dr. Phil. The host insisted –with folksy certainty– that interabled couples are doomed to failure. I and a gazillion others firmly disagree. If you don’t believe me, look up #100outof100 to see the storm of criticism his comments provoked. Better yet, join me in celebrating interability—and the many good relationships it describes. 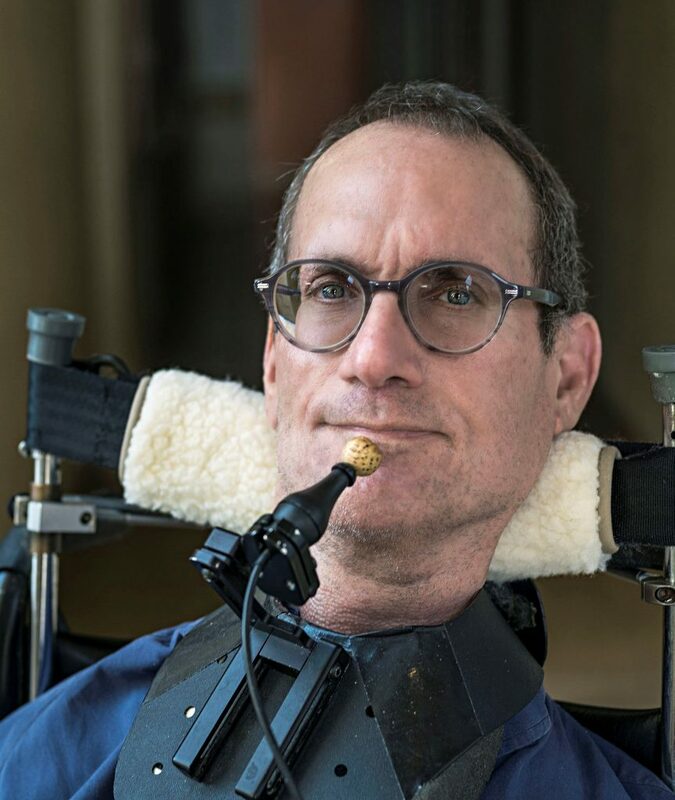 Ben Mattlin’s most recent book is IN SICKNESS AND IN HEALTH: Love, Disability, and a Quest to Understand the Perils and Pleasures of Interabled Romance. He is also the author of Miracle Boy Grows Up.